It’s all about Quality, Reliability, and Safety. In our more than 50 years’ experience in manufacturing and overhauling aircraft exhaust parts, we have built a reputation for quality, reliability and safety. The exhaust is one of the most crucial systems on an aircraft. We rigorously and individually leak test each exhaust system assuring 100% compliance with applicable safety and performance standards. That’s why it is vitally important to choose a quality aircraft exhaust system. Nicrocraft™ offers both new and overhauled exhaust systems that offer quality, reliability, and safety. Worn out exhaust parts are dismantled and completely remanufactured. We know the importance of conforming to original specifications. This is why all Nicrocraft™ replacement components are FAA-PMA Approved. 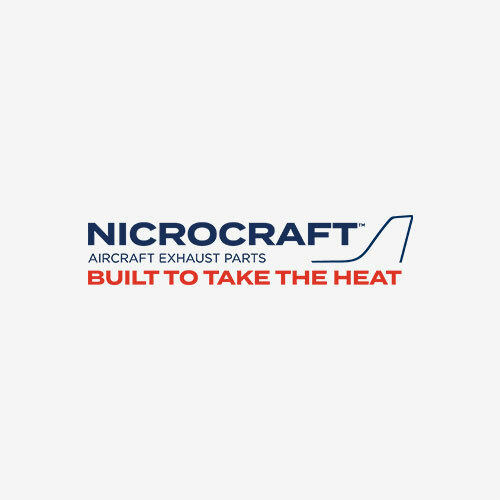 Nicrocraft™ exhaust parts are 100% new manufacture and built to the latest original equipment specifications. Heat-resistant 321 stainless steel and Inconel are used in the construction of all new parts. 8130’s are available on request.